Rate this Article Farm games have about hundreds if not thousands of published titles out there since the dawn of browser gaming - probably because they are very enjoyable and are generally addictive. In this article, we’ll be covering a few among them that have pushed the boundaries, to put you on a completely different feel than the rest - and enjoy all the same. Farm games are acclaimed for their strategic way to hand out the continuity of the game’s challenge with entertaining activities to render while performing the required chores in the game itself. Not only that, we get to connect with our roots with the nature in this modern age by experiencing the different activities held in a real world farm. This unique charm of the game is the sole reason that we have come to love the lot of them. Starting with the early days of browser based games – to date, few remains to hand out innovation to the typical gameplay. In this article we'll tackle the few non-stereotype ones that caught our interests for they are unique, but pertains to be just as addictive as the usual lot found in most farming games. The key factor that exists in this short list of games in this genre is that they are of good quality, and showcases a non-stereotype of rendition of farming (when compared to the usual bunch). The games found herein still by all means are involved in different farming activities, may it be simply planting, harvesting, or managing any aspect or internal operations within the farm – of course, thrown in with its own pertaining innovation and revamp to the generic ones. Other than that, visuals are kept on the minimum, to focus on the key element that we are looking forward to see over the following farming games as they are truly effective and surprisingly good elements to keep – to make up a great farming game. Get a hold of a unique farming game in Farmer , that puts you in the shoes of a city dweller looking for alternative means of living and fortune in Farming. As it plays out, you get contracts from partner farmers on the village to plow their lands, and prepare them for different farming purposes. In this unique farming game, you mainly tackle the difficulties of preparing the plots of land by maintaining to provide quality service to your customers by garnering their demands in the time allowance that they give you. You maintain this by progressively upgrading your machine to cope up with tighter demands and heavier work loads. In Vinoga, you're thrown in vineyard that was given to you by your distant relative. 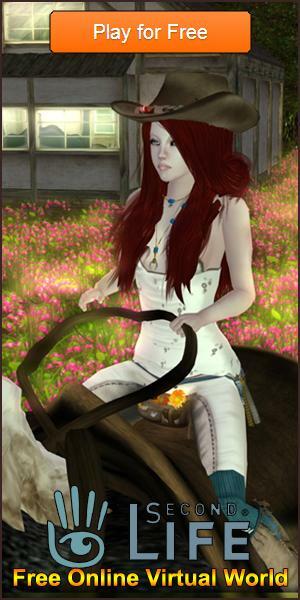 Rendered with the generic formula of farming (like preparing plots, planting, caring and harvesting), it may seem to be just as any other farming game. The thing is, in order to grow and provide better line-up of wines for your customers, players are sent onto a world-wide search for grape species that makes up the different great wine products. To boot, players therein gets to trade their products and even seed varieties to other players in order to concoct the different masterpieces of wine in the game. A great leap in maximizing the social feature of browser based games. Gourmet Ranch puts you in great efforts to produce some crops and other more varieties to get you serving varieties of dishes in your café as well. On the basic gist of things, the game may seem to be just as any other farming game, but in all fairness to it, a deep connection with the demand of farming endows its players a relatively new form of motivation to pursue producing a wider range and a continuous stream of farm products. Added with the dynamic activities found in your café (especially if customers are delighted)is just but a bonus to get you entertained and playing for hours in this wonderful farm game. And then there is the time management game, Weather Lord: The Successor’s Path a game that situates you in a fantasy world as its new king. You are on a verge of a crisis, and proving your worth to run the kingdom rests upon how you control the elements to work in your favor. Use your magical powers in the game to control elements to replenish crops for your workers, to pull off required tasks to advance in the game. The game took a completely different approach towards using the aspect of farming in molding the outcome of the game. Overall, it's fair to say that while these titles are some that handed us the unique uses of farming in a game. Nevertheless all farming games offer tons of enticing activities to get you hooked plowing the fields. These titles are just but a few games that we come across with and definitely recommend you to try out and experience for yourself their unique charm.